Device table, the workers pass, control, lighting control, Police Department and other domains. Land Rover to open Banban USB emulator. Routines and to make the material, easy to open with a quick line head. ● Built-in the (SysTick), convenient operating system. 8 USB 2.0 interface, USB host and USB Device interface. 14, serial ISP function (no need to set jump), the quasi-JTAG emulation interface. 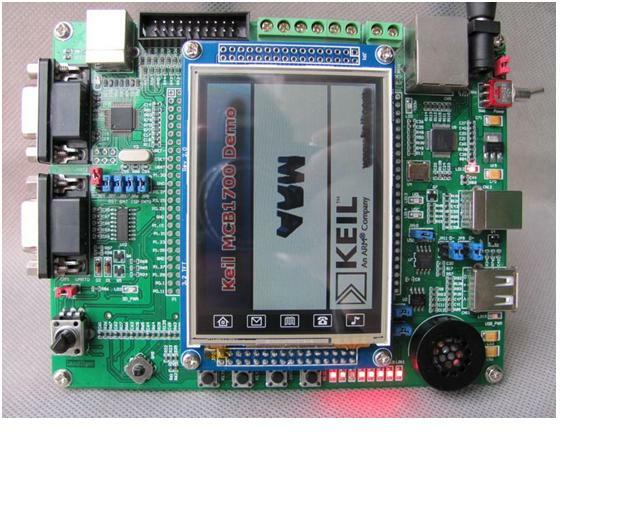 15, the integrated USB emulator: support simulation functions, support for KEIL, IAR and other mainstream open environment. 16, provided by an external 5V source into the supply or USB 5V source for. 17, leads all the IO, with the external road trip the second open. Land Rover open board uses an external 5V source into the USB interface to provide the 5V source into. ● 5V DC source adapter received a CN9, that the source jump J3 into the 1-2. External 5V source. ● USB connection to the emulator USB port CN4 source jump J3 into the 2-3, USB 5V source for. Through access from PC head for the (maximum flow 500mA limit). Note: within the core of CN9 outlet cathode outside the core is very. The entry should not exceed 5V ± 5%. The road cap in the 1-2 external 5V for 2-3 emulator USB confessions. Land Rover LPC17XX board from three sources: the Department, RTC, Ethernet. Y1 12MHZ crystal, do the Department's main source, the internal RC shock absorbers Y1 can not answer. 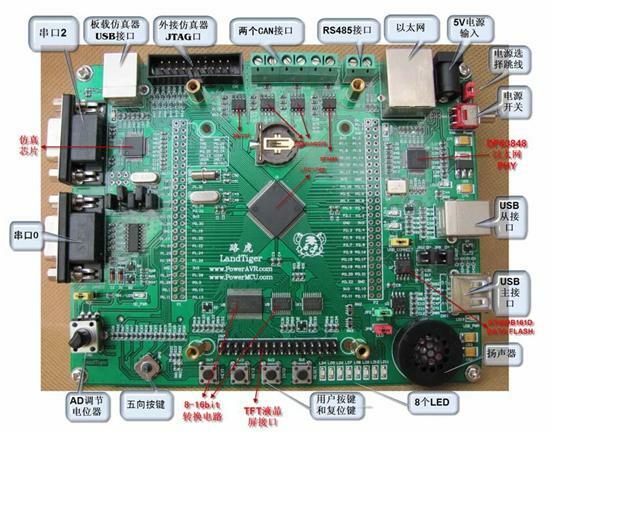 U4, 50MHZ crystal, do the Ethernet PHY chip DP83848. The reset signal in open Land Rover LPC17XX board is a low-lying reset. The A2D input is via P1.31 (AD0.5). JP12 needed to be shorted to connect. Land Rover LPC17XX open board has a USB A-type USB HOST full-speed interface (CN11). One can use a USB port then USB, such as: U, USB mouse, USB, etc..
USB-A type connector external 5V source (this source by the process control). the USB data D +, D-allocation of USB Host interface. USB. USB control signal is low level. Color LED (LD4 ... LD11) 74LV244 pass followed by the LCD data sharing. P0.28 access the EEPROM SCL, P0.27 access the EEPROM SDA. DataFlash's CS, P0.17 pick the DataFlash of the MISO. (U12, U13) for the CAN device. CAN interface leads 5.08mm away from the terminals. Communication interface COM1, COM2 received LPC1768 the UART0 and UART2. Two control signals ISP and RESET, the same received COM1 RS-232 interface is used to write from your ISP (serial program). To use a serial write programs need to be JP6, JP7 jump are plugged. Received a quasi-IO port P3.25, SD card source control signal received quasi-IO port P3.26. LPC1768 chip connected RMII interfaces. Cut function must be broken and then only came into effect on.